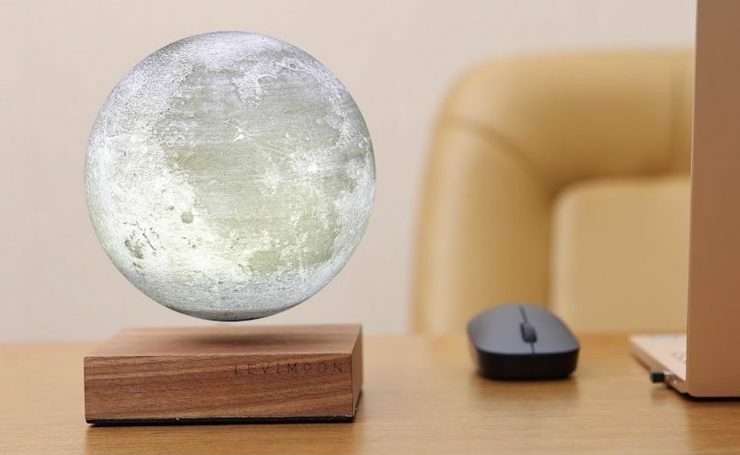 The LeviMoon holds the distinction of being the world’s first levitating moon lamp, it was developed by the team at Coocepts to realistically portray the lunar surface – though as this desk-based moon isn’t locked in a tidal orbit like the real Moon, you can see the whole 360 degree surface as it rotates. 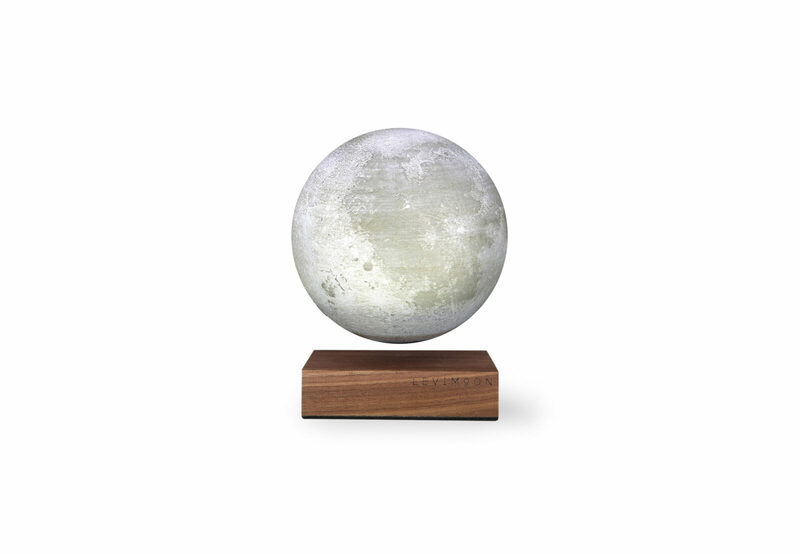 Each LeviMoon is 3D printed in high-resolution, giving it remarkably realistic craters and shading. You can choose from two light settings, a cool white that replicates the color of the Moon when it’s high in the sky, or a warm amber glow that evokes the look of a rising or setting Moon that’s low on the horizon. Both LED light settings can be both dimmed and brightened, allowing you to match the lighting in the room where it’s based. 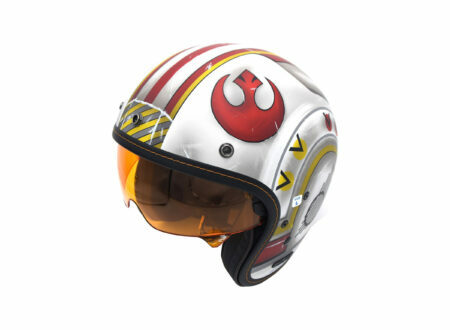 The secret to the LeviMoon’s ability to hover lies with its hidden magnets. 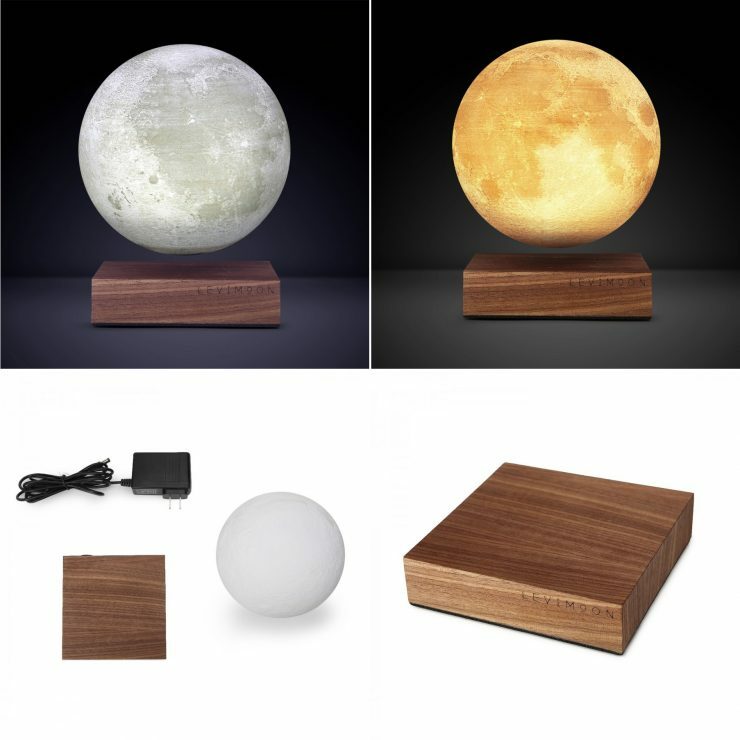 The Walnut base and the base of the LeviMoon both have matching magnets, and the base can be set to rotate the hovering moon, or suspend it without motion. 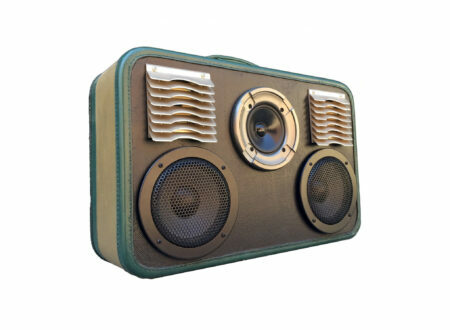 Interestingly, the LeviMoon wirelessly charges itself from the base, so you never have to remove it and plug it in. 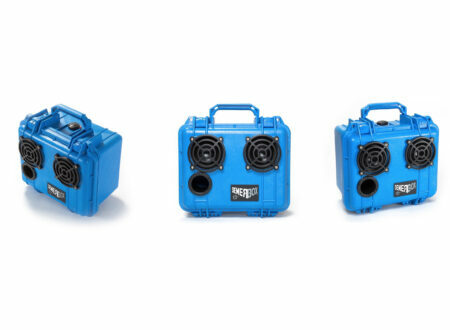 The base provides all the power required for both rotation and illumination. 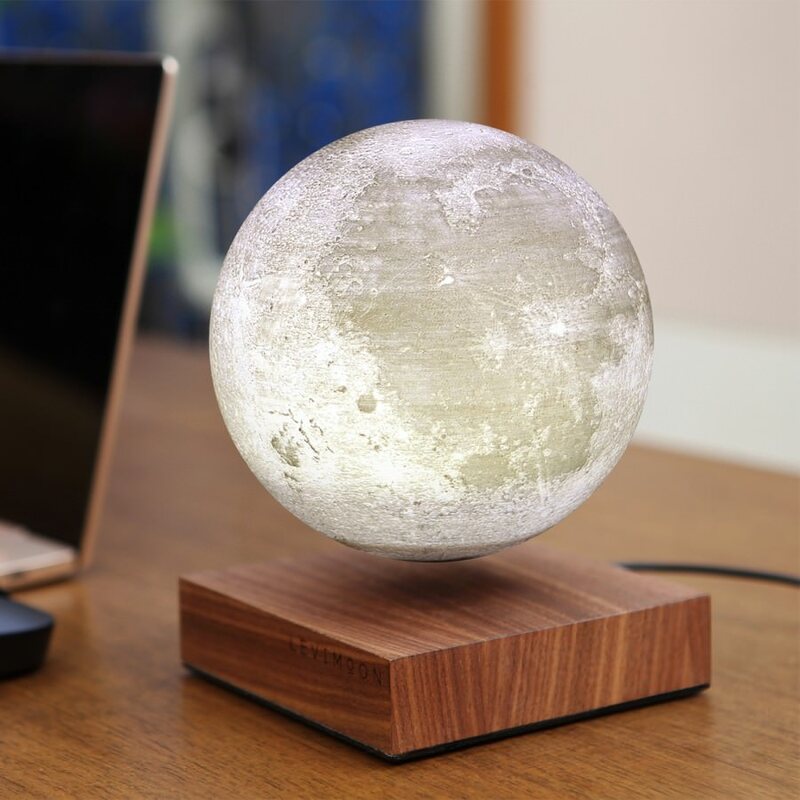 The moon measures in at 5.9″ in diameter, and the base is 4.8″ x 4.8″ x 1.2″, the LED voltage runs between 0.1w and 1.5w depending on settings, and the moon contains a 600mAh rechargeable lithium-ion battery.